The company claims an impressive 63% of the Mexican market share, in addition to being a substantial seller in Guatemala, Honduras, Peru and Brazil. The bikes aren’t bad looking, but they have small-displacement engines, ranging from 90-200cc, and producing from 5-15 horsepower. As such, they’re not likely to take a foothold in the American market. Still, their low price and fuel efficiency may be just what our neighbors to the south are looking for. If you own on of these bikes — or even if you’ve just ridden one — let us know. We’d love to hear a first-hand review from an American rider. 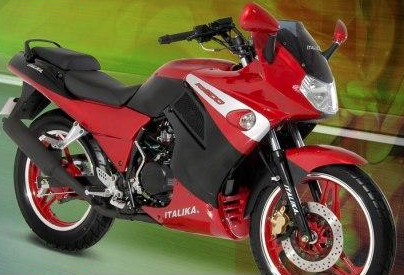 Perhaps next time one of the motorcycle-riding attorneys from Riderz Law ventures down south of the border, we’ll take an Italika for a test ride. We’ll keep you posted. I’ve got a 2015 Italika, my husband and I live in Mexico. It’s a very inexpensive bike, very light, easy to manage and ride. Great for girls and little guys. Nice Julie! Glad to hear you’re happy with it. I live in Cozumel Mexico,and I have to say that my experience with Elecktra, a local Italika distributor, the local factory authorized repair shop, and the moto itself, has been nothing short of a nightmare. I bought a Model RT 200, and it has been useless from day one. Trans won’t shift properly, and the mechanic refuses to recognize this problem, much less repair it. The main electrical wiring loom between by tank and the forks was shredded by fork movement, completely disabling the bike. Promises of a new wire loom have been unfulfilled after three months. Now the bike, virtually new (2000 km) refuses to run for more than one minute. Starts, shuts off, and refuses to restart. Chinese/Mexican junk.